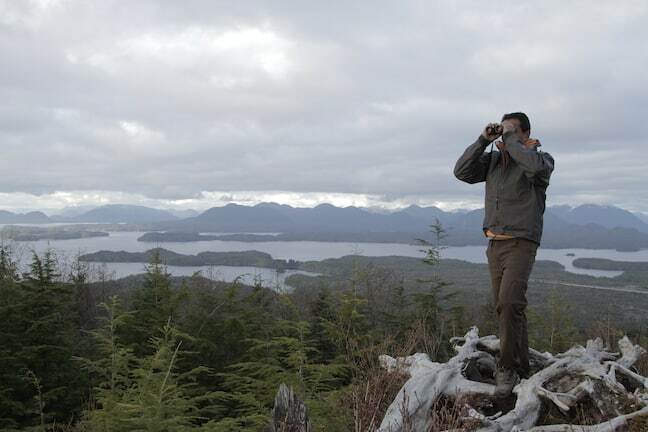 I’ve never seen a TV show that resonated with me on a deeper personal, philosophical and ideological level than PBS’s new nature documentary series, EARTH A New Wild (which airs Wednesday nights at 10PM EST, on the PBS site and iTunes). 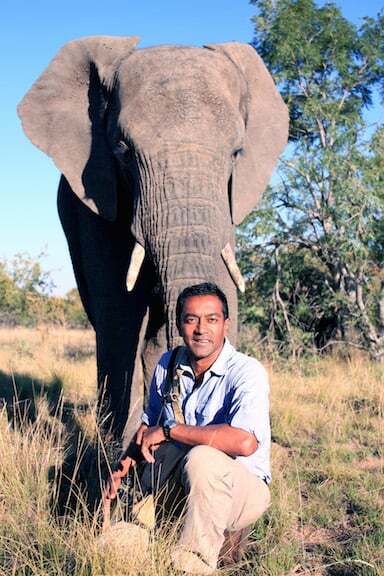 The show follows host Dr M Sanjayan– former lead scientist for Nature Conservancy and current executive VP of Conservation International– as he travels the world, examining the connections between mankind to the ecosystems in which we live. From the Plains of Kenya and the United States, to the forests of British Columbia and the Ecuadorian Amazon, to oceans spanning the globe, the show insists that we are all connected: As Nature fares, so does humanity. The regularly reinforced moral of the story is that, by taking care of the planet on which we all depend for food, water and shelter, we’re taking care of ourselves. 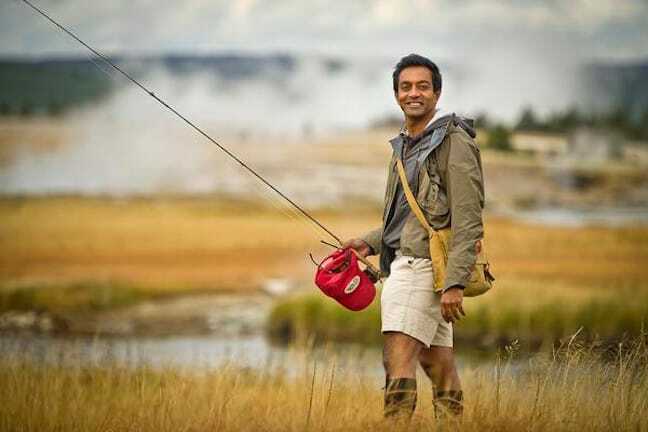 Sri Lanka-born Sanjayan, who earned a PhD in biology and was recently selected by the National Geographic Society for its Explorers Council, is the perfect host. 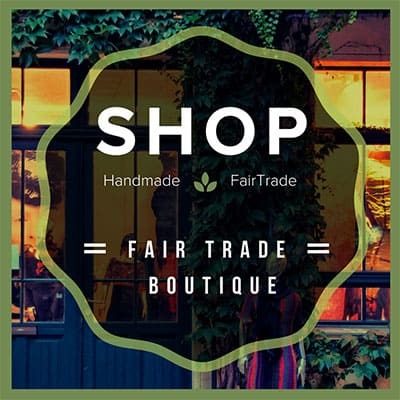 With EARTH A New Wild, he shows numerous examples of how, through responsible ecotourism and conservation initiatives, it IS possible for man and nature to co-habitate peacefully and prosperously. 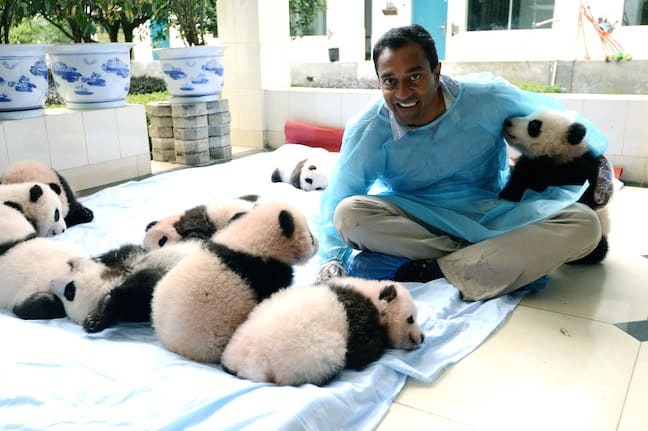 I was honored to speak with Sanjayan for this extensive interview on how these concepts can help save the world. At what point did you fall in love with nature on a conscious level? I probably didn’t become conscious about it until I was an adult. As a kid, it was just something that was all around me, from the earliest memories of looking for monitor lizards and using my mother’s hair pin to make a hook and try to catch fish in the gutter. When we moved to Africa, we really did have wildlife all around. I had my sixth birthday cake stolen from the dining room table by a monkey. I just never thought there was a job around it, so it didn’t become a conscious thing until I was close to getting a PhD. Did you have a career goal in mind when you started your graduate studies? To get a job! I’d like to say that I wanted to save the world from day one. But, not being an American citizen by birth, coming from a rather poor third world country and being one of very few in my extended family to have a western lifestyle, being employed was your ticket out. Once I started getting better at conservation, I realized I could work for a non-profit or a similar institution. As a graduate student, I started doing internships and consultancies at the World Bank. That was what gave me the notion that I could actually make a job work with the degree I had, combining what I love and what I needed to do. The central theme of Earth: The New Wild seems to be that we– all life forms on the planet– are all connected. Is that a fair assessment? Yes, but I think that’s an assessment that a lot of other shows try to make. For me the key differentiator is just a variation– that humans are part of that picture. Any story of nature that doesn’t have humans within it in this day and age is an incomplete story. When did you first come to the understanding that humans are a key part in this puzzle, and that it needed to be spotlighted? About a decade ago, I was watching the filming of Planet Earth in India. They were filming a scene of an Indian rhino up north near Kaziranga National Park. Behind the camera there were probably 1,000 villagers standing there. Every now and then, someone would stray into the camera shot and someone would be sent off to shoo them away to keep the scene pristine. What was fascinating for me was not the wildlife scene in front of the camera, but what was going on behind it in terms of all these people from the village who had gathered to watch this. I had this strong sense that if they just flipped the camera around, they’d have a pretty interesting story to tell as well. It stayed with me for well over a decade. Why do you think it’s so hard for people who profit from industries that cause damage to the planet to see the damage that we’re doing to ourselves in the process? People always act in their self-interest. What we want people to do is act in an enlightened self-interest. Enlightenment means that you think about the long-term, you think about others, you think about how it all fits. The people who want to mine for oil in the Ecuadorian Amazon are not bad people. That’s the way they know how to make a living. It’s very difficult to point my finger at them when I get on a plane and drive my car that obviously uses oil that could very well come from the Amazon. To me, the key is to make people aware of the trades that they’re making. We understand the trade-offs we make when we smoke or eat things that are unhealthy for us. The better we understand and appreciate those trade-offs, the more likely we are to make enlightened decisions. In the Amazon example, the Ecuadorian government said, “We get that this [ecosystem] is important, but we are a poor country and need to develop. If people around the world think this place is so important, then come up with several billion dollars and we’ll make [oil-drilling] go away!” And guess what? Nobody ponied up. How do you think we can improve the communication between the scientific and conservation communities and the average joe? People tend to listen to people like themselves: The messenger is as important as the message. The fact that I’m Asian allows me to speak to audiences in a different way. Typically, natural history documentary hosts are male and white. We’re changing the lens a little bit to see if that makes a difference, and I think it does. We know from studies that you’re more likely to do things if your friends do it. The second thing we ought to do is to make people aware of why conservation is good for them. You’re from Atlanta, where the Flint River flows by the airport and feeds a lot of people in terms of cotton production. The water that is used on cotton can be extreme. There’s a whole Earth: A New Wild episode on water. We go to the Aral Sea in Uzbekistan, which was the largest lake in the world but disappeared because of overuse of its water for cotton. When I’m in front of an audience in Atlanta, that’s the story I want them to relate to. I can shock them with Uzbekistan and get their attention, but I bring it home by making it relevant to them. How did this show originally come together? At the Jackson Wildlife Film Festival, I was sitting next to Dave Allen, who won the Best Picture Award. 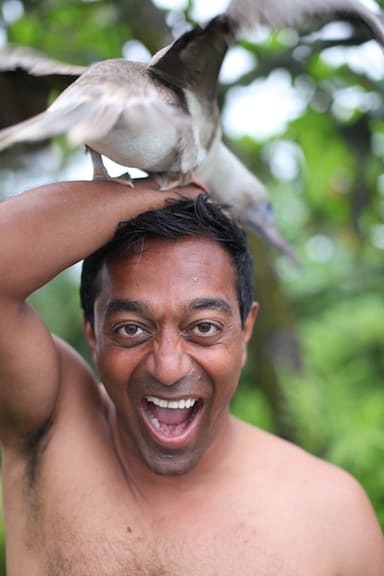 He’s a phenomenal natural history storyteller and film producer. I talked about this idea to executives at Discovery, Animal Planet, PBS and National Geographic, and they all they all thought it was good. But they couldn’t see how it would work, because it’s complicated. Once I teamed up with Dave, the storytelling became potentate, because he could bring this complicated idea to life visually. PBS said yes, with National Geographic as a production partner. PBS is the only company out there that’s willing to take that kind of risk, and they’re on a bit of a roll right now. So we hit the right moment, but it took so many years before we could start shooting. Sometimes you have to keep pushing until the stars align. What new things did you learn from doing this project? Every single story surprised me. 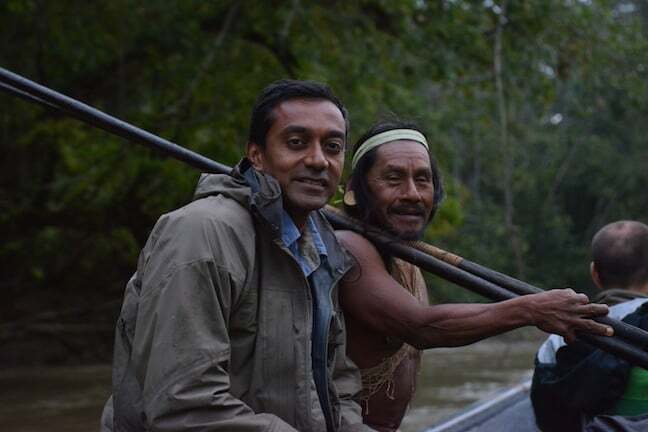 I was surprised, not that the Warani in the Ecuadorian Amazon needed nature, but that people in New York City and Bangladesh– the most densely populated parts of the planet– need it as well. The other thing that surprised me was how many amazing people I met along the way who were doing incredible things. In the United States, cowboys who are mimicking bison and wolves. A Muslim guy in Bangladesh who’s completely committed to tigers. This bare-footed Druid in Zimbabwe who is revolutionizing the way we think about graze land management. The jaguar Shaman in the Amazon. We had way more stories to tell than we had time to tell them. 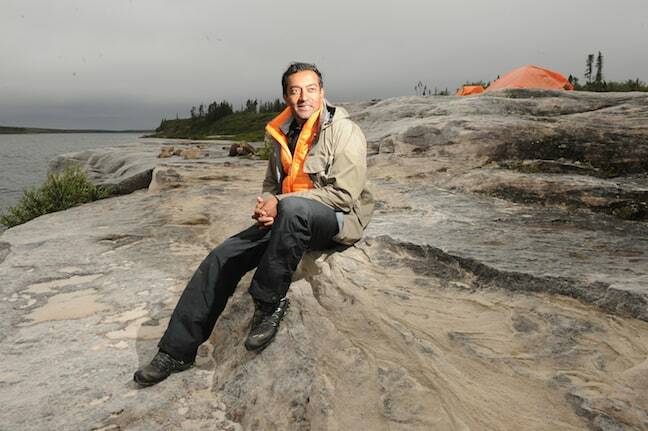 What role do you see ecotourism having in conservation and responsible development? In several of the places we visited, it was clear that tourism was bringing money into their system. When it was responsible ecotourism, you would really see that effect. 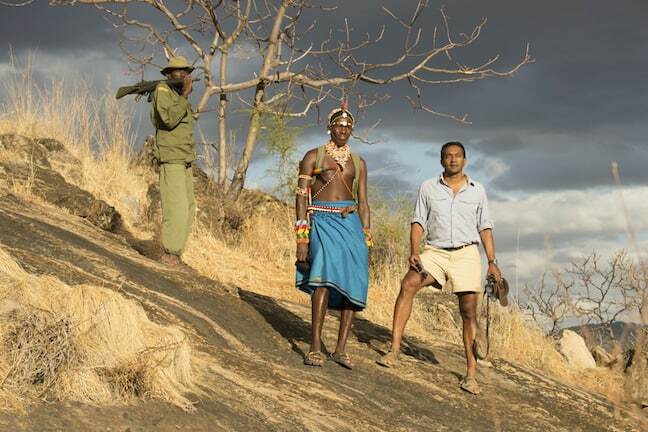 We did a fair amount of filming in Kenya for the plains and water episodes. There, ecotourism is the primary way in which people were earning outside income, in addition to cattle ranching. In Nepal, there’s an incredible scene in the first episode on vulture rescues, and we go paragliding with vultures in the Himalayas. Scott Mason funds his work on vulture rehabilitation through people paying to go ParaHawking with him. So several of the stories we tell have a very strong component of ecotourism. We visited Gombe National Park with Jane Goodall, and tourism is such a huge important thing for Tanzania. Tanzania has loads of parks, but few of them actually make money. Gombe is one of those. So ecotourism has extraordinary importance, if it’s done well. How can we emphasize the economic benefits of conservation and ecotourism as an alternative to poaching, which obviously brings in a lot of cash? A live elephant is far more valuable than a dead elephant. The dead elephant is valuable to a few people, whereas a live elephant is valuable to many people. But the value to many is small, whereas the value to the few is large. It’s like taxes: We all pay taxes and we tend to be good citizens. But there are a few people who cheat the system. If too many people cheat the system, then the whole system collapses. The key is to really get the community galvanized, because then peer pressure becomes very strong. People know who’s doing bad things, and the bad ones are outed pretty quickly. Over the years I’ve seen how, with deep community engagement, it’s not just rangers who are stopping the poaching, but also the community stepping up to protect their rights. One fascinating aspect of the show is this idea of quantifying “natural capital”–putting monetary value on a community’s natural resources. How does that work? Today we have tools that can make valuations around key services like water and carbon. The more difficult thing is to come up with values that are often unaccounted for, such as pollination or soil retention. If you just take one value of nature, such as trees and how much carbon there is, you can create an offset for it and come up with a value. But the same tree also provides food and shelter, holds soil, retains water and creates pollination cycles. The challenge now is how do we move into bundling these services to measure the value of a forest? The organization I work for, Conservation International, plays very heavily in this space. 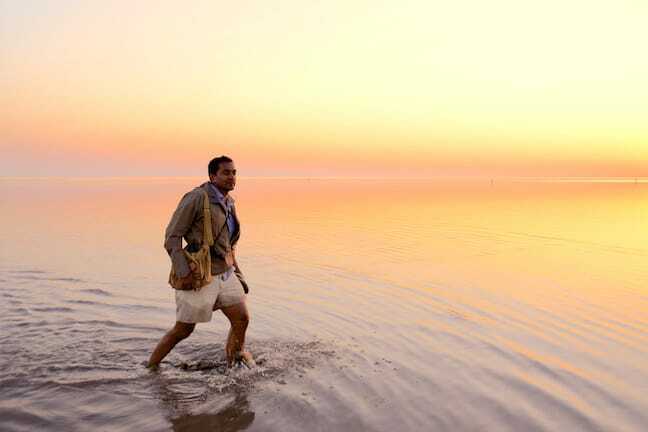 In Botswana, for example, we’re creating tools that helps the government understand the real value of nature in terms of their GDP, which fluctuates between 50-80%. The reason for the huge range is that the science of this is less accurate the more services you try to bundle. I am an ambassador for Disney Nature around their new film, Monkey Kingdom, and a portion of the first- week ticket sales will go towards forest conservation in Indonesia, Cambodia and Sri Lanka. We also want people to review Earth: A New Wild on iTunes because it makes a huge difference in how many people see it. So if you like it, please review it. What are your goals going forward with Conservation International?